Company car drivers in diesel cars will not see a drop in their tax payments in 2016, as chancellor George Osborne announced the 3 per cent supplement in BIK tax will stay until 2021. Since the CO2 emissions-based company car tax system was introduced in 2002, most diesel cars have been subject to a 3 per cent supplement on their tax bands, which was planned to be lifted from April 2016. It would have meant that petrol and diesel company cars with the same levels of CO2 emissions would fall into the same BIK tax bands. But perhaps swayed by recent news stories about diesel emissions, Osborne said in his spending review statement that the supplement would remain in place intil 2021. Osborne told the House of Commons: "In the light of the slower than expected introduction of a more rigorous EU emissions testing [procedure] we will delay the removal of the diesel supplement on company cars until 2021." The official test cycle, which measures vehicle fuel consumption and emissions under lab conditions, has come under increased scrutiny since Volkswagen Group admitted that many of its cars were fitted with cheat devices. For most car buyers, the official fuel economy figures had been used to benchmark one car against another, but in the last few months, emissions levels also measured in the test have been in the spotlight. The officialt test cycle, sometimes referred to as the New European Drive Cycle (NEDC), has been criticised for recording fuel economy figures for vehicles that have become increasingly difficult to replicate in real world driving. A new testing process is currently being drawn up, but is unlikely to be ready for at least another few years. RAC Business head of corporate sales Jenny Powley said: "Company car drivers will clearly be disappointed by this announcement, as diesel engines have come a long way in terms of CO2 emissions since the supplement was introduced in 2002. "Many company car drivers will have chosen diesel vehicles this year with the expectation that the supplement would be lifted in April 2016. 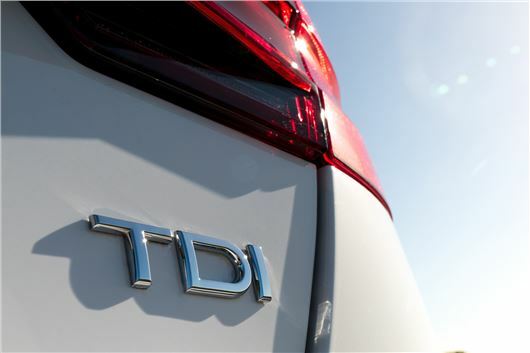 “Of course recent events surrounding diesel engine emissions and testing processes at VW have changed the perception of diesel in the market place. It seems that the chancellor has also been influenced by that as the reasons given for the supplement to remain until 2021, is that EU-wide testing procedures should ensure new diesel cars meet air quality standards by then, even under strict real world driving conditions.